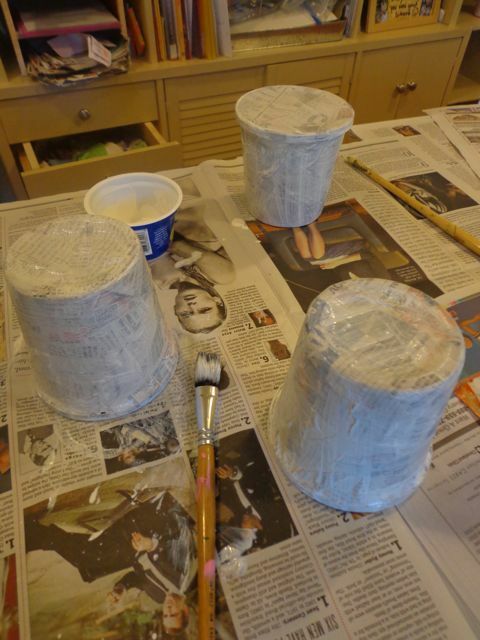 First, I made the papier mache mixture. Mix 5 parts water to 1 part flour (I used 5 cups water and 1 cup flour and it was WAY too much). Bring the mixture to a boil. It should become very thick. Then, let the mixture cool by leaving it out or by placing it in the refrigerator. 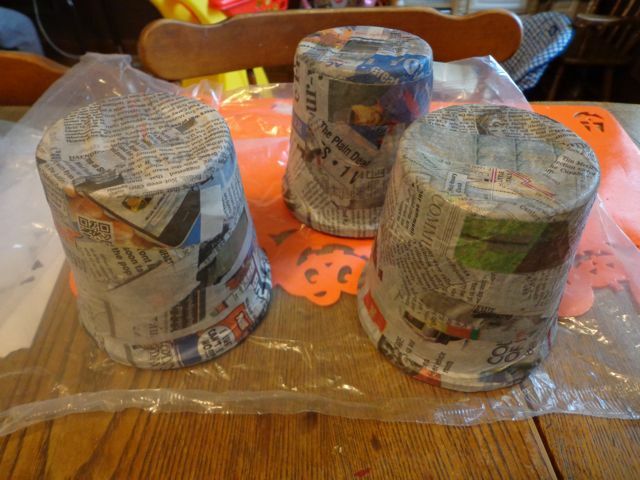 Meanwhile, cut or tear your newspaper into strips. Ready your plastic containers with lids on. Once the mixture was cool, I dipped the newspaper strips in, removed the excess, and placed each strip directly onto the container. I added newspaper strips until the whole container was covered. 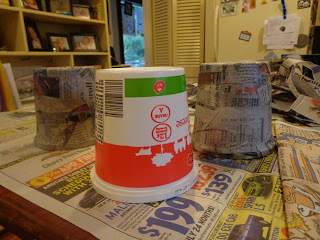 I smoothed out the newspaper to make sure everything was flat and then placed each container on a piece of plastic to dry. 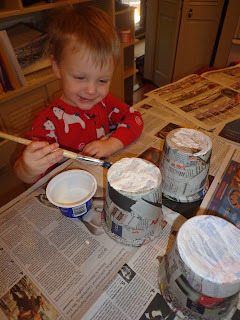 Once the containers were dry we painted them with white craft paint. Then, we let the paint dry. Once the paint was dry, I added ghost faces with a Black Sharpie marker. Cute and fun to do with little ones. Stopping over from the Dear Creatives Linky Party! 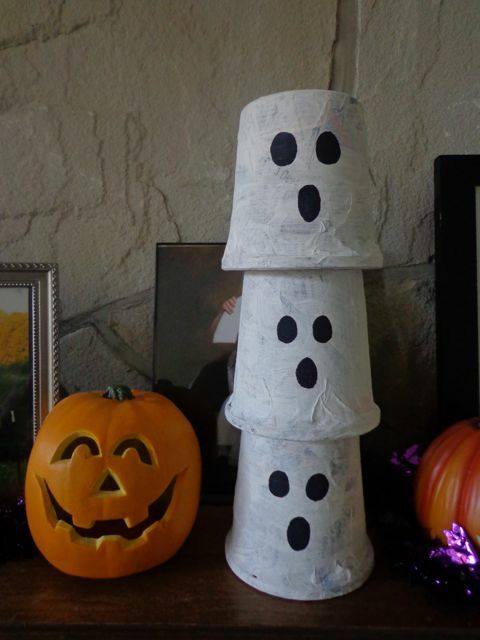 I love this idea! So cute visiting from DearCreatives.com thank for linking up this past week.